Halloween is coming up, which means that people of all ages are racking their brains to come up with clever costumes for the occasion! 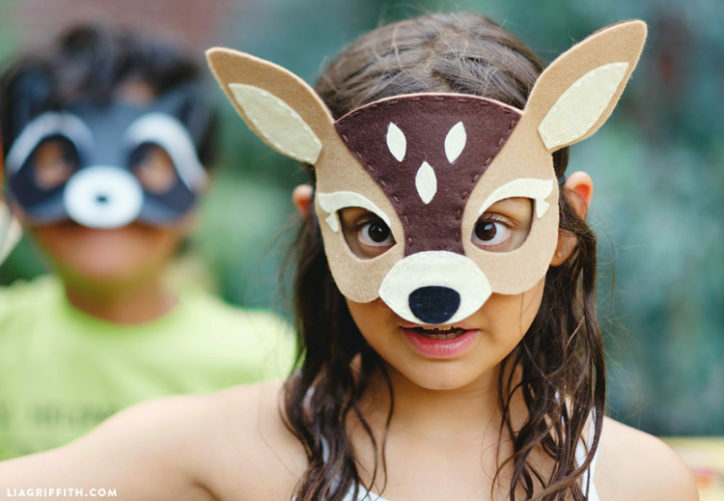 If your little ones are feeling crafty and want to be involved in creating their own costumes, these woodland masks are a wonderful kid-friendly project for an afternoon spent crafting. 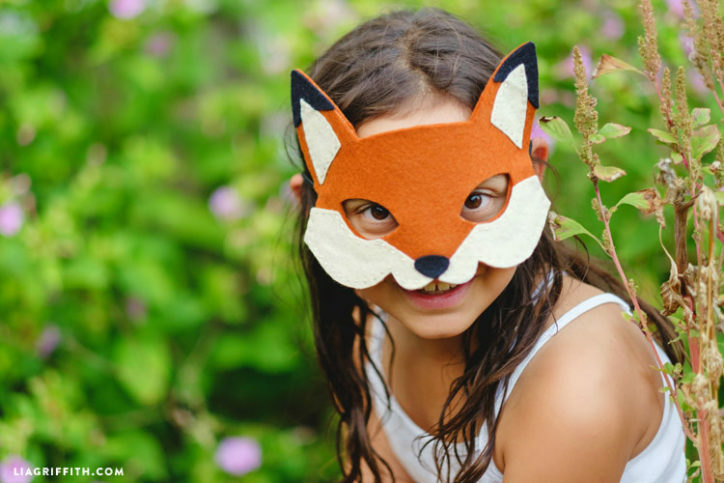 This project is especially great for teaching your kids some introductory sewing skills, as the masks require a combination of gluing, hand stitching and ironing. This kid’s craft happens to be a part of our Craft School, so there is a full video tutorial associated with the project. 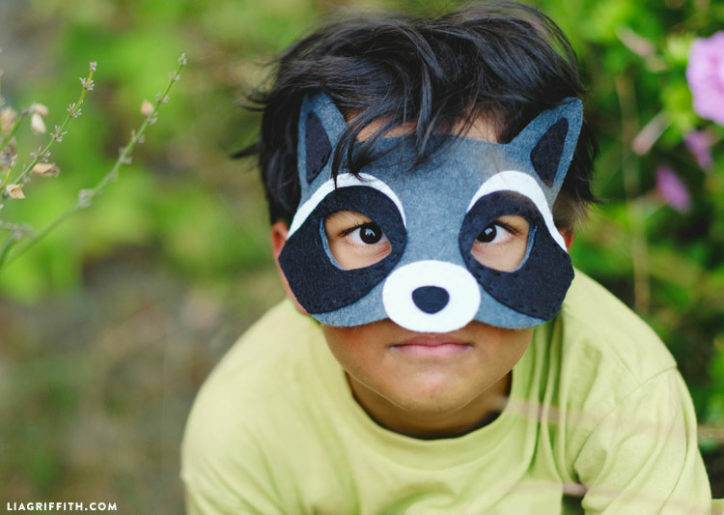 Head to the woodland masks lesson to find our complete list of materials and tools that you will need. You should be able to find your materials at your local craft store! Be sure to pick out wool felt or nice wool blend felt because you will be ironing the masks. Ironing acrylic felt will only make it melt. 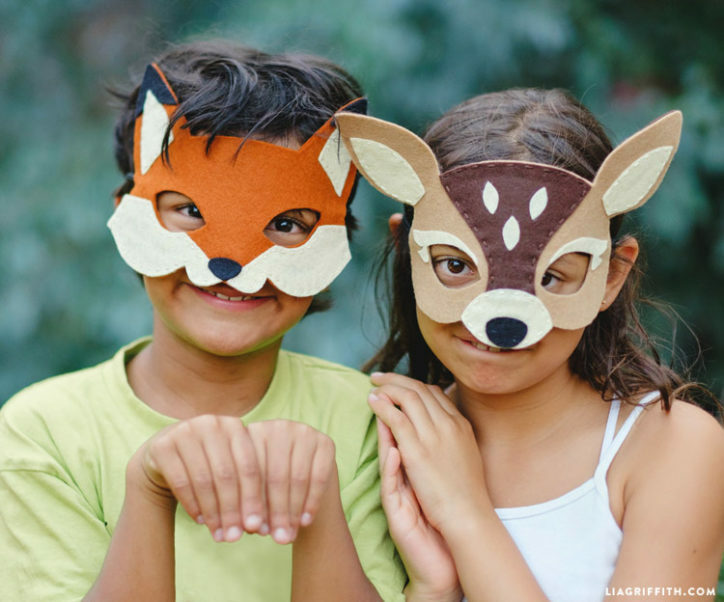 Once you have gathered your materials, you can print out the PDF patterns for the woodland masks under the Patterns tab in the Craft School lesson. 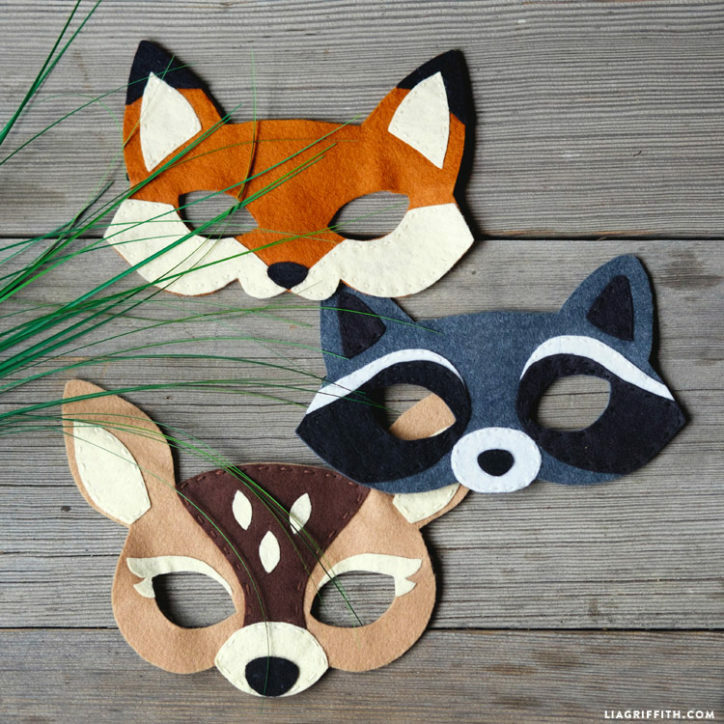 Each pattern also includes a diagram of how the mask will look with all the felt pieces assembled, so choose your felt colors based on these template pieces. 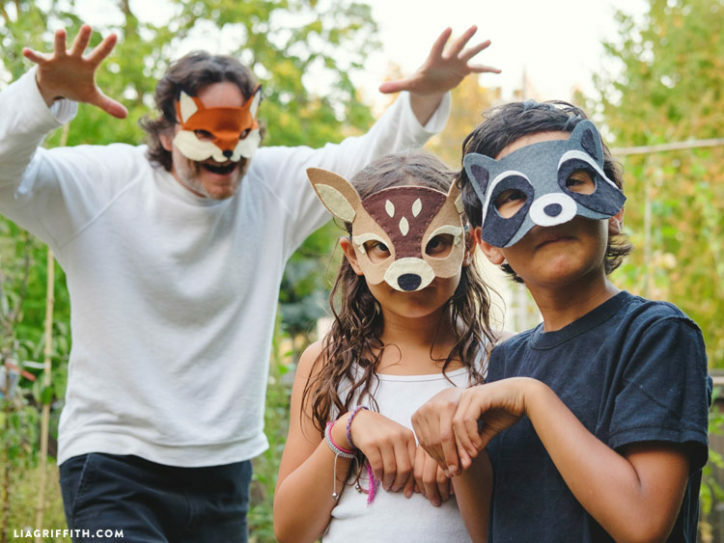 We just made a fox mask. It is very cute, but I feel the eyes are positioned too far and looking at the photos on this page I can see it is the same problem with other animals. You can even see how the masks on the children partially cover their eyes. I think the pattern should be adjusted to move the eye openings closer together. Otherwise it is great pattern and very good instructions. Thank you for the feedback, Maria– we’ll take a look at this. Hi Lia!!! My Name is Marcia and I’m a brazilian and I bought a SacnNCut recently and trying to cut this felt masks and I can’t. Didn’t you sell only two molds of them? Only a fox and raccoon. How much? Thanks. You can download any of our patterns as a member for $10. I’m a 5th grade teacher in Salem, OR, and I’m ready to make my life easier by buying a machine that can use the SVG files. Which do you recommend? I’m looking for good quality and low to medium price. Hi Denise! The Cricut Explore Air is my favorite. It retails at $299 which is pretty comparable to other cutting machines with the same capabilities. You can always look on Ebay or Craigslist for a used one in good condition. Some shops that sell the machine (Michaels, JoAnns) have sales or special discounts for teachers and students, so you could call around! There is nowhere to print these patterns? Am I missing something?